Hannah Satein graduated with a Masters in Water Resources Policy and Management in 2017. Hannah grew up in the Willamette Valley, which fostered her interest in the rivers that define the valley and Pacific Northwest region. She is particularly interested in the intersection of hydropower and river system restoration. Hannah worked with Hilary on her research regarding community reactions to extreme weather events. In her free time, Hannah enjoys biking, backpacking, climbing, and making delicious food with friends. 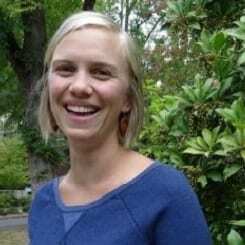 She is now a Hatfield Fellow, working at the Oregon Watershed Enhancement Board.